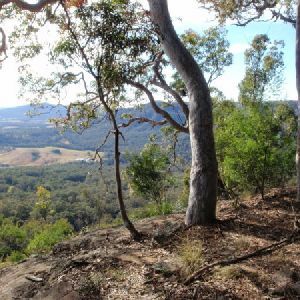 From the clearing, this walk follows Georges Road, initially keeping the views on your right. 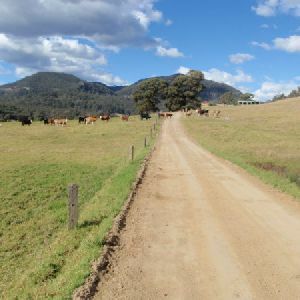 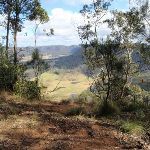 The walk leads downhill for a few hundred metres, then notably becomes moderately steep downhill for another 400m before flattening to cross a wide saddle. 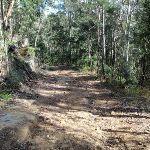 On the other side of the saddle, this walk leads uphill for about 400m, then the track flattens out and bends right to come to a three-way intersection, with the signposted ‘125r Lookout’ trail (on the left). 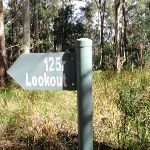 Turn left: From the intersection, this walk follows the ‘125r Lookout’ sign south gently downhill along the grassy trail. 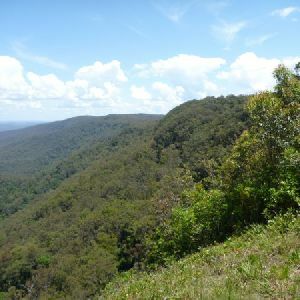 The walk continues through forest for about 900m, until coming to the end of the road and an unfenced lookout with wide valley views. 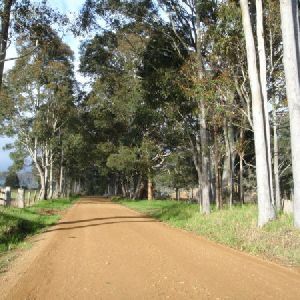 Around 1.3km of this walk has short steep hills, whilst the remaining 860m has gentle hills with occasional steps. 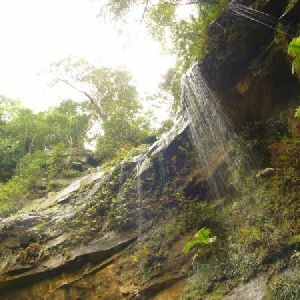 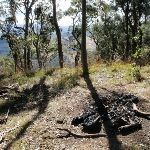 A list of walks that share part of the track with the Georges Road Rest Area to 125r Lookout walk. 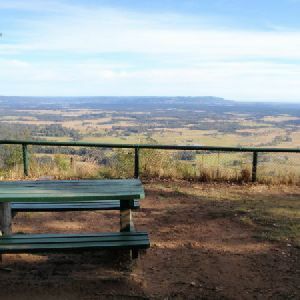 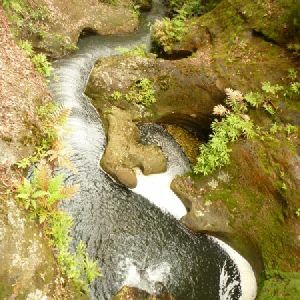 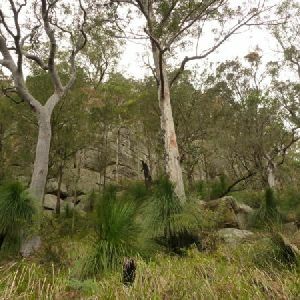 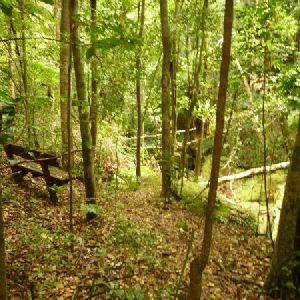 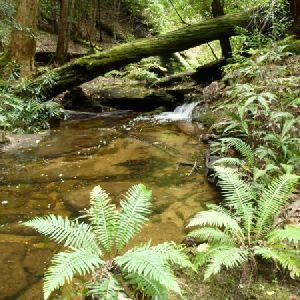 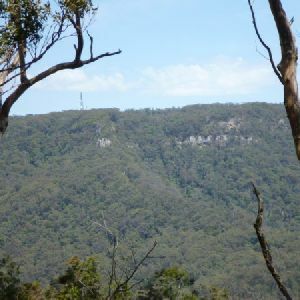 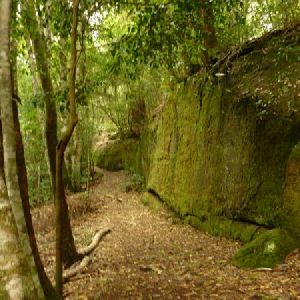 A list of walks that start near the Georges Road Rest Area to 125r Lookout walk. 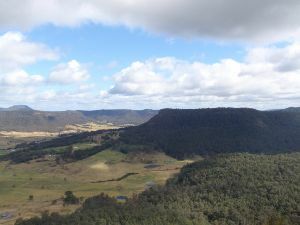 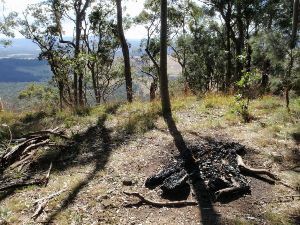 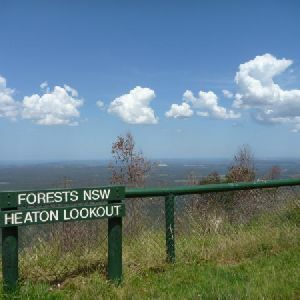 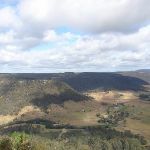 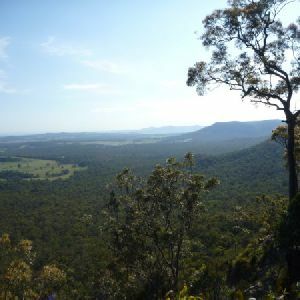 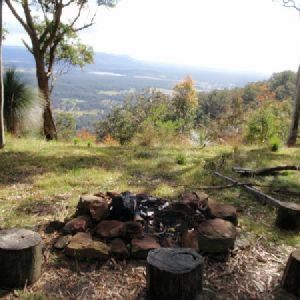 http://new.wildwalks.com/wildwalks_custom/includes/walk_fire_danger.php?walkid=nsw-wataganp-grrat1l Each park may have its own fire ban, this rating is only valid for today and is based on information from the RFS Please check the RFS Website for more information.